On Sunday 31st March Ukrainians went to the polling stations to take part in the first round of the Presidential election. Central Election Commission reported, in the early morning of 1st April, that the voter turnout reached 63,45% (in comparison, the turnout in the previous 2014 elections was 59,48%). 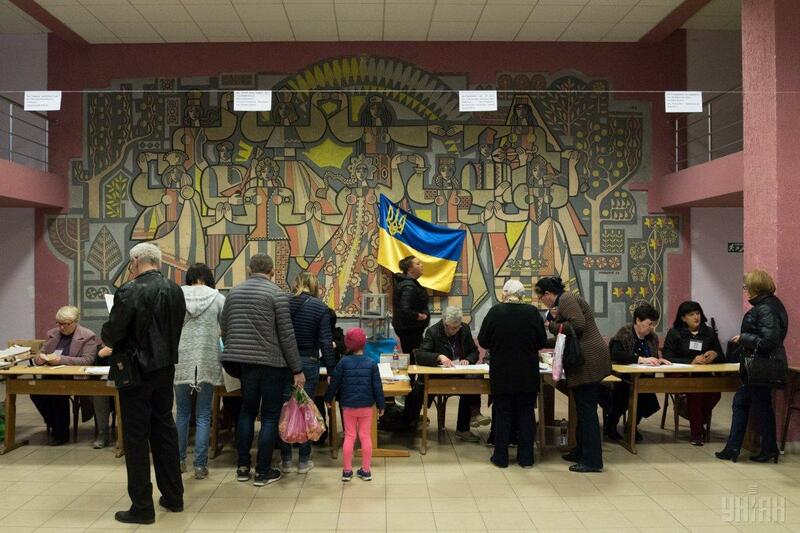 Voter turnout was the highest in Lviv region – 68,88% and lowest in Zakarpattia region – 46,99%. In the afternoon of 1st April, the Central Election Commission had processed 80,33% of the ballots according to which, popular comedian Volodymyr Zelensky and the incumbent President Petro Poroshenko received 30,41% and 16,03% of the votes, respectively. The third popular candidate Yulia Tymoshenko was narrowly left out of the second round by receiving 13,24% of the votes. As no candidate received more than 50% of the votes cast, according to Ukrainian law, the two candidates, who received the most votes will move on to the second voting round, which will take place on 21st April. Both Zelensky and Poroshenko have declared their readiness to hold public debates before the second round of the election. Central Election Committee is expected to round up the results of the second round of Presidential election by 1st of May, have them officially published before 4th May. Before 3rd June the new President of Ukraine should be elected during the ceremonial meeting of Ukraine’s Verkhovna Rada.